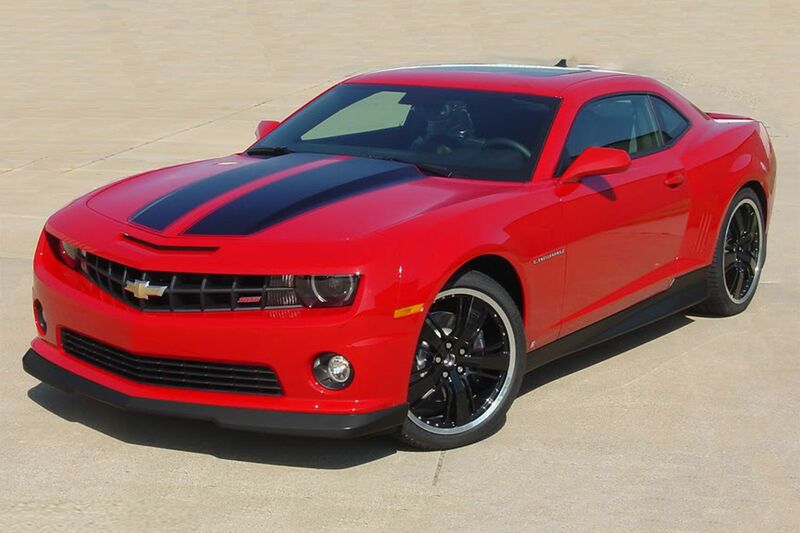 Chevy Camaro "OEM FACTORY STYLE"
The R-SPORT factory style vinyl racing rally stripe kit for the 2010-2013 and 2014-2015 Chevy Camaro is one of the hottest new kits on the market! This style is the same OEM style as factory kits. This R-SPORT vinyl kit includes driver and passenger hood stripes, trunk, and spoiler/wing stripes. 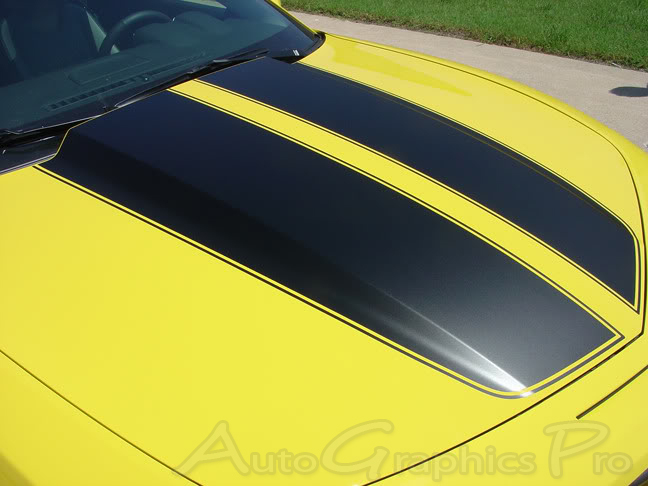 The new Camaro models are a fine addition to this generations muscle cars, and these vinyl stripes will add needed customization for a more factory look. 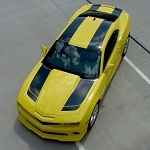 This Camaro vinyl graphics kit is precut and designed to fit the 2010-2013 and 2014-2015 body styles and manufactured using 3M High Performance vinyl. Even though this kit costs less than most, it is the same factory quality materials you would receive if paying $500 or more for the exact same vinyl!This 6-section vinyl graphics kit is designed specifically for the Camaro body lines, and is made of 3M 2 mil high performance vinyl film with each piece is precut to fit the Camaro and requires no cutting on the vehicle, so it offers an aggressive styling that captures that great muscle car feel of yesterday with the modern materials of today! 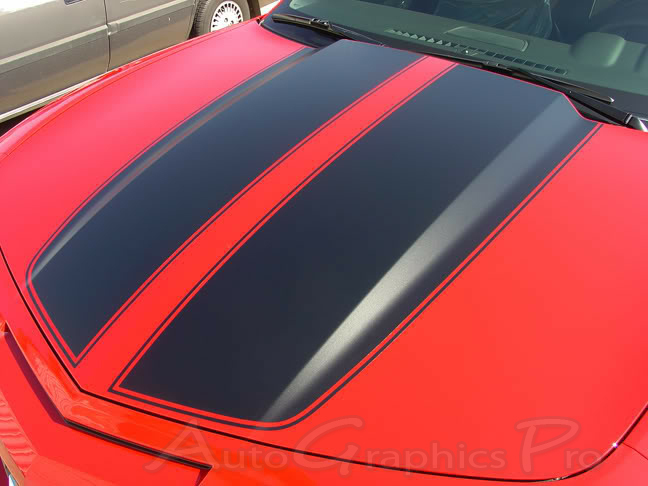 This vinyl graphics kit comes with two hood stripes (driver and passenger sides) and trunk and spoiler vinyl sections. 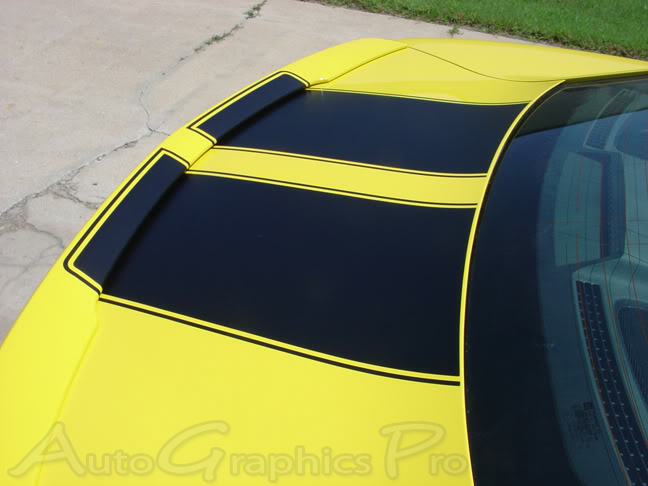 The rear deck stripes are provided pre-spaced and fit Camaros with or without a spoiler. The spoiler pieces are provided separately and are best applied to a vehicle with the spoiler removed. Convertible model options are also available, see the drop down menus for all options before adding to your cart to checkout. I applied the matte black stripes on a silver 2012 Camaro SS. It was easy and the vinyl is a very high quality product. They look fantastic and I am extremely happy with this product! AUTOGRAPHICSPRO NOTE : Thanks for the compliments! These are the same vinyl quality if purchased direct from Chevy . . . . 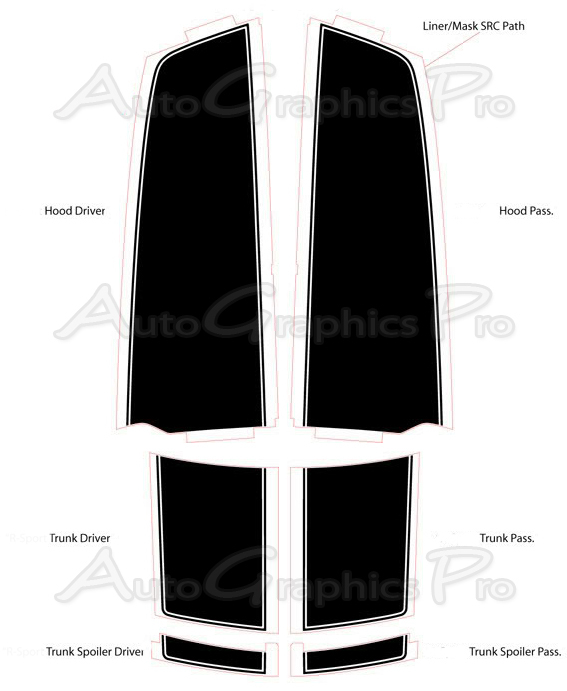 I have a dark blue Camaro and ordered the white stripes for the hood, trunk, and spoiler. I had someone with experience put them on since I didn't trust myself to align them. They look great and I would recommend getting them. We hired someone to remove our old stripes and that was a job in itself. The detailer was very happy to see that these are a 3M product and went on very easily. Looks great! Purchased the Bright Orange R-Sport stripe kit and had it professionally installed on a 2013 Ashen Gray Camaro. Looks terrific and would appear to be a high quality kit. Stripes lay out nice and even and are perfectly cut for length. 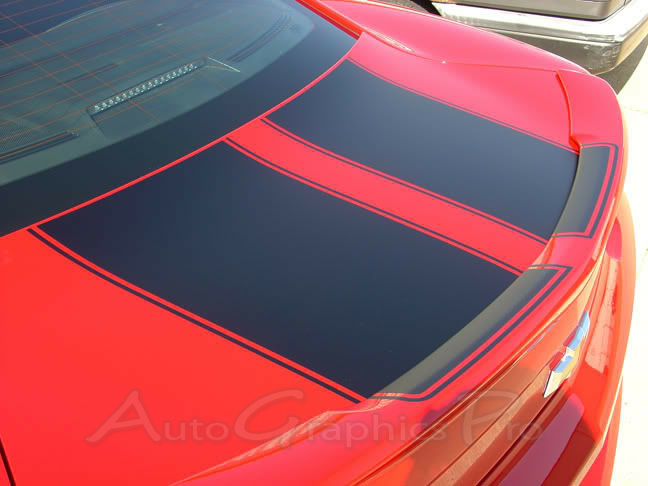 I would recommend this kit, and Auto Graphics Pro, to anyone looking to stripe their car.